For building elevation cleaning we use the High Pressure Hot Water Steam Cleaning system which is specialist cleaning method. The HPHWSC System is a method of removing dirt and traffic film from the façade of buildings which has built up over many years. This method uses a normal cold water mains supply which is fed into the pressure pump unit which can be increased to the required level before entering the hotbox. The pressure settings are independent from the temperature settings which can be increased to 150°C before it the heated water is passed into a heat resistant nozzle used to direct the super-heated water (steam) onto the surface to be cleaned. The steam/superheated water will not only remove moss, algae, fungi and other biological matter but will also kill off the spores so that there is no need to use a chemical biocide in the removal process. Another major advantage of this method of cleaning is that it produces very little water as the water is turned to steam, the net result being that water running down the façade of the building and flooding onto the ground, or people below if adjoining a public footpath becomes a thing of the past. 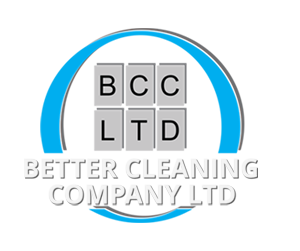 Better Cleaning Company provide a complete range of pressure washing solutions which include cold pressure. Our high pressure high flow machines can make light work of removing moss, algae and surface debris from all of surfaces often without the need for chemicals. We provide pressure washing services to both the domestic and commercial sectors and offer modern solutions to brick and stone cleaning of new builds, cleaning of external claddings, Patios, plant & machinery, plus warehouse floors, infact just about anything that is not harmed by water.